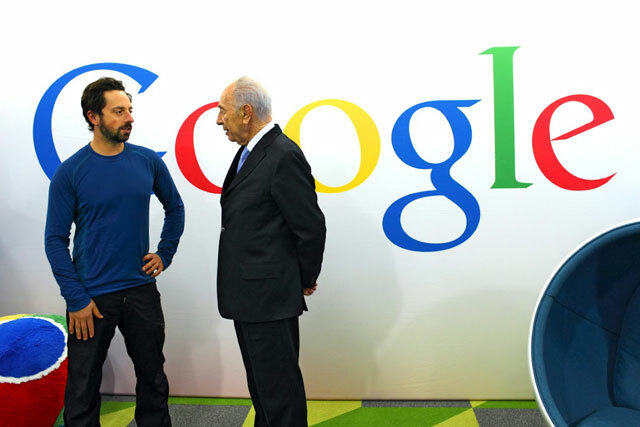 Israeli President Shimon Peres stopped by Google yesterday, as part of his Silicon Valley trip. He was given a tour by Google co-founder, Sergey Brin, who is a born Jewish Russian. I had the great honor of meeting Israeli President Shimon Peres yesterday! He visited Google and saw some cool demos: the latest in Google Earth, Translate, Google+ and of course our self driving cars. Many of you know how passionate President Peres is about promoting peace in the middle east, but I was surprised to learn how tech savvy he is! Not only did he thoroughly enjoy the demos, but he was also asking really great questions about the underlying technology and algorithms. At 88 years old, he is truly inspiring. As some of you know, I run the Search Marketing Expo Israel show every year, so maybe next time we can get President Shimon Peres to stop by and share some Google tips?